SOMONAUK...OR NEAR SANDWICH...AND MOVING NORTHEAST AT 55 MPH. LITTLE ROCK...PLANO AND HINCKLEY AROUND 225 PM CDT. SUGAR GROVE AROUND 230 PM CDT. MONTGOMERY AROUND 235 PM CDT. NORTH AURORA...BATAVIA AND AURORA AROUND 240 PM CDT. PM CDT. CAROL STREAM...WINFIELD AND WHEATON AROUND 250 PM CDT. Flood Watches/Warnings and Advisories continue for Montana as recent rain and significant snow melt over the past couple of weeks has hit some areas hard with flooding. Just this past weekend the governor ordered more National Guard troops to the town of Roundup to help with the floods efforts. Meanwhile, over four dozen troops have been helping the Crow Reservation. Cloudy right now; Storms possible later? 12:15pm Update: A few showers moving through along with the cloud cover has helped to stabilize our atmosphere, decreasing our severe weather potential for this afternoon. Greatest severe weather threat remains east of the Rockford area where the sunshine has helped further destabilize the atmosphere. Showers currently moving through eastern Iowa this morning will continue to push across the Mississippi River, although the line seems to be weakening some. A strong area of low pressure sits in northwest Minnesota with a trailing cold front extending south through central Iowa. This cold front will move across southern Wisconsin and northern Illinois during the afternoon and could be the focus for a few stronger storms later this afternoon and evening. A slight risk still remains over south-central Wisconsin and north-central Illinois for today with a moderate risk across Michigan. This is likely where the greatest instability will remain due to ample amounts of sunshine. Warm, moist air continues to stream north ahead of the front as we've seen filtered sunshine so far. The big question remains just where the storms will develop as the front moves through; either right overhead or to the east. There could be a few showers that develop later this morning before the cold front pushes through. With the front coming through I believe storms will probably form very close to the Stateline and then race to the east across southeast Wisconsin and northeast Illinois. The main threat with any of these storms would be gusty winds as there isn't much directional shear (changing of the wind with height) because the main low is well to the north. As always we'll be here and should anything change we'll let you know right here on the blog. Tomorrow afternoon, the Storm Prediction Center out of Norman, OK does include the Stateline in a slight risk for severe weather. We will have a cold front pushing into the area from the west late tomorrow afternoon and evening that could trigger some thunderstorms. However, we will have a lot of warm air aloft tomorrow which will be an inhibiting factor to the vertical development of any storms. For that reason, I'm cautiously optimistic that severe weather will avoid the area tomorrow. Still, the FirstWarn Weather team will be on top of the situation tomorrow. Happy Memorial Day! LOWS/SHORT WAVE TROUGHS WILL CONTINUE PROGRESSING WITHIN SEASONABLY STRONGER FLOW AROUND ITS WESTERN AND NORTHERN PERIPHERY. WEAKENING/BROADENING AND ACCELERATING EAST NORTHEASTWARD INTO NORTHERN ONTARIO BY 12Z WEDNESDAY. THIS IS EXPECTED TO OCCUR AS A SMALLER SCALE SHORT WAVE IMPULSE PIVOTS AROUND ITS SOUTHERN/ EASTERN PERIPHERY...THROUGH THE UPPER MISSISSIPPI VALLEY/GREAT LAKES REGION DURING THE DAY TUESDAY...INTO WESTERN QUEBEC BY THE END OF THE PERIOD. SOUTH OF A BROAD DEEP SURFACE CYCLONE ACCOMPANYING THE UPPER LOW...A COLD FRONT WILL ADVANCE THROUGH MUCH OF THE UPPER MIDWEST/GREAT LAKES/OHIO AND MIDDLE MISSISSIPPI VALLEY REGION. HOWEVER...THE FRONT/PRE-FRONTAL DRY LINE ACROSS THE CENTRAL AND SOUTHERN PLAINS LIKELY WILL WEAKEN AND LIFT NORTHWARD/RETREAT WESTWARD...AS THE CENTER OF RIDGING ALOFT SHIFTS WEST OF THE LOWER MISSISSIPPI VALLEY...AND ANOTHER CLOSED LOW/SHORT WAVE TROUGH DIGS INTO THE PACIFIC COAST. CLOUD COVER AND PRECIPITATION ON SUBSEQUENT DOWNSTREAM PRE-FRONTAL DESTABILIZATION REMAINS UNCLEAR. STRONGER LOW-LEVEL CONVERGENCE ALSO APPEARS LIKELY TO REMAIN FOCUSED NORTH OF THE INTERNATIONAL BORDER AREA THROUGH THE PERIOD...WHICH MAY ALSO SUBSTANTIALLY IMPACT THE CONVECTIVE POTENTIAL. INTERNATIONAL BORDER/...ISOLATED SUPERCELLS WILL BE POSSIBLE BEFORE UPSCALE CONVECTIVE GROWTH INTO ONE OR MORE ORGANIZED CONVECTIVE LINES OR CLUSTERS OCCURS. DAMAGING WIND GUSTS AND HAIL APPEAR THE PRIMARY SEVERE THREATS...BUT TORNADOES WILL BE POSSIBLE...BEFORE THE THREAT DIMINISHES/SPREADS INTO ONTARIO TUESDAY EVENING. DAYTIME HEATING OF A VERY MOIST BOUNDARY LAYER IS EXPECTED TO YIELD MODERATE TO STRONG CAPE BY TUESDAY AFTERNOON BENEATH UPPER RIDGING. ALTHOUGH FORCING REMAINS UNCERTAIN...AND SHEAR WILL BE WEAK...THERMODYNAMIC PROFILES SHOULD BE SUPPORTIVE OF AT LEAST LOW SEVERE PROBABILITIES...WITH THE BEST CHANCE FOR SCATTERED STORM DEVELOPMENT ON THE PERIPHERY OF THE WEAKENING MID-LEVEL HIGH CENTER. As a ridge of high pressure builds in the southeast today strong southerly winds will help push temperatures near records across parts of the Midwest and lower Great Lakes. While we likely won't see any record breaking heat here, our record high for today is 96° set back in 1934, the lower 90s will be felt across the Stateline. The ridge will act as a bubble keeping the bulk of storm activity to the west and northwest through this afternoon. With a breezy southerly wind and dew points in the low 60s, it's possible that heat index readings may approach the middle 90s by this afternoon. So if you're planning on heading out today to any parades or other events make sure you wear the sunscreen and drink plenty of water. Unfortunately, severe weather is going to be a problem for residents in the eastern Plains and upper Midwest later this afternoon. Ongoing storms through Minnesota this morning continue to move into northern Wisconsin as the warm air lifts north. As those storms move out, the atmosphere will likely destabilize again as an area of low pressure and associated cold front lift northeast out of the Rockies. This area will be the focus for stronger storms, some of which could produce tornadoes, later this afternoon. A moderate risk has been placed from north-central Nebraska northward along the North Dakota/Minnesota border. That system will stay north of us tomorrow, but the trailing cold front will move through during the afternoon and evening which could provide a few stronger storms; especially if our cap (lid on the atmosphere) weakens. We do have a slight risk out for this area. A Good Old Fashioned Hot Memorial Day! (1:11:20 PM) nwsbot: LOT: Creston [Ogle Co, IL] trained spotter reports FLOOD at 12:35 PM CDT — water over roadways. ditches full. (12:57:06 PM) nwsbot: LOT: 2 Se Waterman [Dekalb Co, IL] trained spotter reports FLASH FLOOD at 12:49 PM CDT — water flowing over road in multiple locations on rt 23. Heavy rainfall since 11am - M1.70"
Lee Co: SSW Ashton: Heavy rainfall - E1.0"
Heavy rainfall in past 70 minutes - M1.80"
12:15pm Update: A line of storms continues to move east through Ogle and Lee counties and will eventually move into DeKalb county. Currently the line extends from near Oregon south/southeast to just west of Shabbona. Heavy rainfall, wind gusts nearing 60 mph and frequent lightning all remain a possibility with this line as it moves through. Flash Flood Warning for Lee and southern DeKalb counties has now been issued until 5:30pm. Radar estimates of up to 3" of rain has fallen with the storms that have moved through. Runoff, ponding in roadways and even a rise in small creeks and streams will be possible. Severe Thunderstorm Warning for Lee and southwest DeKalb counties until 12:15pm. These are for the line of storms currently moving through Whiteside counties. These storms have had a history of producing damaging winds near Moline around 10:40am. Flood Advisory for Winnebago, Boone, McHenry, Ogle, Lee and DeKalb counties until 4:30pm. 10:45am Update: A line of severe storms continue to move south of the immediate Stateline area this morning right along I-80. However, there have been a few storms that have developed out ahead of this main line north of the warm front. As of right now, the only severe thunderstorm warning is for southern Whiteside county, which is on the northern edge of the main bow echo, for damaging winds. This storm is currently moving to the east around 50 mph and will likely move into Lee county within he next hour. The storms that have formed out ahead of the main line are not posing too much of a severe weather threat as these are north of the warm front. Heavy rainfall, gusty winds and possibly small hail will continue to remain a threat for these storms. 9:40 am Update: Currently watchng a line of storms in southeast Iowa just southwest of the Quad Cities which appear to have bowed some. These will likely continue to move east along and south of the warm front. However, the northern extent of this line will push through with the continued threat of damaging winds. Also watching storms that have formed out ahead of the main line moving to the northeast which could bring the severe weather threat here sooner. A Severe Thunderstorm Watch has been issued for Carroll, Whiteside, Jo Daviess, Stephenson, Winnebago, Boone, Ogle, Lee, DeKalb and McHenry counties until 4pm. First: A Dense Fog Advisory continues for southern Wisconsin and northern Illinois through mid-morning Sunday. Low level moisture combined with light winds has created some very dense fog in some locations. Visibility will improve as the morning continues. Second: I'm watching storms that have developed out in Iowa early this morning. A warm front lies to our south, right around Peoria, and lays from west to east. These will continue to move east through the morning and could possibly become a bow echo as they move through northern Illinois with damaging winds. A severe weather watch will likely be issued for northern Illinois soon. A warm front over southern Illinois will move to the central part of the state by daybreak on Sunday. With warm air from the Gulf of Mexico riding up and over the front, scattered showers and thunderstorms are expected over parts of the Stateline later on tonight. As the front continues to press toward the north showers, and storms are expected to become much more widespread on Sunday morning, and may produce locally heavy rainfall. Showers and thunderstorms will become more scattered during the afternoon, and end by the supper hour. Because of the cloud cover and rain, high's on Sunday with only reach the low 70's. It will be partly cloudy, mild, and muggy tomorrow night with a low in the middle 60's. The warm front will push to the north into Wisconsin by sunset Sunday. It will be a mostly sunny, hot, and humid day, with a high around 90 degrees. Enjoy! A cool front will pass through the area on Tuesday afternoon with scattered thunderstorms. The temperatures are expected to reach the low to middle 80's before the front starts cool the Stateline down later in the afternoon. High pressure stretching from the northern plains into southern Wisconsin will clear skies out on Tuesday night, and bring the Stateline a beautiful sunny day on Wednesday with a high around 80 degrees. The cool front will stall out across central Illinois on Wednesday night, and begin edging northward as a warm front. Disturbances over the plains will move to the east, and may begin generating thunderstorm complexes on Wednesday night that could affect the Stateline before daybreak on Thursday. The cool spring pattern we've felt so far may be changing into more of a summer-like pattern for the first week or two in June. A ridge of high pressure will build in the southeast and throughout the Ohio River Valley this weekend allowing temperatures, especially by Memorial Day, to rise well into the 80s, if not 90s. A warm front will lift north through the Great Lakes Saturday and Sunday which will keep a threat for storms in the forecast. Another system will help to flatten the ridge Tuesday afternoon allowing a cold front to sweep through. Temperatures, however, behind this front don't really look to cool a whole lot. In fact, the ridge will begin to shift west and place itself over the middle of the U.S by next week helping to keep an active storm track across the Midwest and Great Lakes. Looking even further into June and the Climate Prediction Center has above average temperatures remaining through the second week. Who knows, maybe our luck is changing. AFTER REVIEWING INFORMATION FROM ADDITIONAL DAMAGE SURVEYS...PHOTOS AND VIDEOS FROM EYEWITNESSES...AND REVIEWING RADAR DATA...IT HAS BEEN DETERMINED THAT MORE TORNADO DAMAGE LIKELY OCCURRED IN WINNEBAGO COUNTY. THE TORNADO THAT WAS PREVIOUSLY DOCUMENTED FROM SOUTHEAST OF FORRESTON TO JUST SOUTH OF WINNEBAGO...APPEARS TO HAVE CONTINUED ANOTHER 10 MILES TO NEAR MACHESNEY PARK. DAMAGE OCCURRED FROM NEAR KELLY ROAD AND WESTFIELD ROAD NORTHEAST TO JUST NORTH OF HARLEM ROAD ALONG THE ROCK RIVER. THIS INCLUDES THE DAMAGE AT KENNEDY MIDDLE SCHOOL ON ROCKTON ROAD. THIS MAKES THE TOTAL PATH LENGTH ABOUT 27 MILES. PATH WIDTH WAS AROUND 200 YARDS. THE TORNADO WAS RATED EF1 WITH MAXIMUM WINDS TO AROUND 110 MPH. MOST OF THE DAMAGE WAS TO TREES. THERE WAS SOME STRUCTURAL DAMAGE AT A FARMSTEAD ON FALCONER ROAD EAST OF WINNEBAGO...AS WELL AS ROOF DAMAGE AT THE MIDDLE SCHOOL. ANOTHER TORNADO BEGAN NEAR LATHAM ROAD AND MERIDIAN ROAD WHERE TREES AND LIMBS WERE BROKEN. THIS TORNADO CONTINUED FOR APPROXIMATELY 3 MILES TO STEWARD ROAD. ANOTHER BRIEF TORNADO OCCURRED NORTH OF ROSCOE. THE DAMAGE BEGAN AT A FIRE STATION JUST WEST OF I-90 AND NORTH OF ROCKTON ROAD AND CONTINUED TO NEAR I-90. THE FIRE STATION HAD DAMAGE TO GARAGE DOORS...SIGNS AND FLAGPOLES...AS WELL AS LARGE PINE TREES SNAPPED. PATH LENGTH WAS ABOUT 1 MILE AND WIDTH WAS 50 TO 100 YARDS. THE TORNADO WAS RATED EF1 WITH WINDS TO AROUND 110 MPH. HOME VIDEO SHOWS ANOTHER POSSIBLE TORNADO IN OGLE COUNTY NEAR KINGS. THERE ARE NO DETAILS ON ANY DAMAGE FROM THIS TORNADO AT THIS TIME. Eric Lenning and I have been pouring over data, reports, radar, photos, and videos. We also had a meteorologist from a private met firm from Grand Forks who happened to be in town visiting family. He tagged along with me when I was up there Monday. He did some additional surveying the last couple days. From that we concluded that the tornado that came out of Ogle County to near Winnebago...weakened slightly then redeveloped about a mile east of Winnebago. If you follow this path, all the damage up through the Kennedy Middle School and into Machesney Park near the River lines up. I lost the damage or it became very very weak after the subdivision north of Harlem along the River. This would have passed very close to WTVO and WIFR! I sent a PNS with the information. We also had a spotter/chaser who was 100% positive he witnessed a tornado near Meridian and Latham where there was heavy tree damage. This lines up well with the damage at the fire station. When we were out there we couldn't say for sure if it was a tornado. Damage wasn't conclusive, but a firefighter claims to have seen a funnel and it lines up with Latham and Meridian. When we drove southwest from the fire station there were a few limbs broken here and there but very minor compared to what happened at the fire station. Tree damage was more impressive further southwest of the river toward the Latham-Meridian location. Likewise on the other side of I-90, just a couple limbs but very weak damage. They are also looking into a possible tornado in Ogle County near Kings, or just north of Rochelle. If they provide any additional information on that we will pass it along right here! Wait...let me check the calendar! While I don't think it's going to be anything we have to significantly worry about here frost, and maybe even a freeze, are possible for our friends in Wisconsin and Minnesota. A Freeze Watch has been issued for northeast Minnesota, northern Wisconsin and even the western part of the U.P. of Michigan while a Frost Advisory has been issued for central Wisconsin. The reason, well high pressure building in southern Canada will help clear skies, calm winds and pull down a lot of cool air later tonight. Temperatures to the north are expected to reach the upper 20/low 30s. Closer to home, I'm not all that concerned with our frost potential. We got a lot of rain yesterday morning so the ground is fairly saturated. Also, I don't anticipate the winds to calm and I think we'll probably keep a few clouds around through the overnight. The tornado watch for Lee and DeKalb counties has been cancelled. SMALL ONE...ON FOOT OR IN A VEHICLE. * AT 705 PM CDT...NATIONAL WEATHER SERVICE DOPPLER RADAR INDICATED THUNDERSTORMS WITH HEAVY RAINFALL ACROSS THE ADVISORY AREA. DOPPLER RADAR ESTIMATED RAINFALL OF 1 TO 1 AND A HALF INCHES OF RAIN PER HOUR...AND LOCALLY HEAVIER AMOUNTS...OCCURRING WITH A LARGE AREA OF THUNDERSTORMS. THE STORMS WERE OVER CENTRAL ILLINOIS MOVING NORTH NORTHEAST AT 25 MPH. * MUCH OF NORTHERN AND CENTRAL ILLINOIS ALREADY RECEIVED 1 TO 2 INCHES OF RAIN THIS MORNING...WHICH SATURATED SOILS AND FILLED CREEKS AND DITCHES. ADDITIONAL HEAVY RAIN WILL CAUSE FLOODING OF CREEKS...STREAMS...ROADS AND LOW LYING AREAS. DO NOT DRIVE YOUR VEHICLE INTO AREAS WHERE THE WATER COVERS THE ROADWAY. THE WATER DEPTH MAY BE TOO GREAT TO ALLOW YOUR CAR TO CROSS SAFELY. Freeport picked-up nearly 2" of rain this morning. Many other areas saw about 1" or more. Some areas along I-88 could see more heavy rain tonight... perhaps as much as 1/2 to 3/4 of an inch. Strong low pressure continues to spin in Kansas with severe thunderstorms developing out ahead of it. The warm front sits right through our southern viewing counties with temperatures in the 60s here in Rockford and upper 70s/low 80s to the south of the warm front where the sunshine has allowed the atmosphere to destabilize this afternoon. Severe thunderstorms are currently south of the Quad Cities and will rapidly lift northeast through the late afternoon. The warm front will probably stay to the south, which is why Lee and DeKalb counties are under a tornado watch. We'll be watching for any storms to pop up south of the front as those could affect the southern viewing area through the evening. THIS INCLUDES THE CITIES OF...DEKALB...DIXON AND OTTAWA. The heavy rain from this morning has moved north but not before close to two inches was picked up in some locations. A strong low pressure system is now moving into eastern Kansas/western Missouri early this afternoon. A warm front extends just south of the Stateline where temperatures have reached the low 70s and dew points in the low to mid 60s. A slight risk still remains for north-central Illinois for this afternoon while a bigger threat for severe weather lies through the mid-Mississippi River Valley. Current water vapor continues to show a dry push of air on the backside of the upper low which has helped to clear skies through Illinois. In fact, we're already starting to see storms fire ahead of the low and cold front. The clouds are starting to thin some across northern Illinois and we may even be able to squeeze out some sunshine later this afternoon. The warm front probably won't make it as far north as the Wisconsin/Illinois state line but it may touch some of our southern counties: Lee, Ogle and DeKalb and I wouldn't be suprised if some kind of watch were issued later this afternoon. We're still going to watch for the development of thunderstorms, especially along the front and if we clear out, later this afternoon. While the biggest threat will stay to the south hail and gusty winds could occur through those southern counties. Residents in our southern viewing area should be alert for severe weather later this afternoon/evening. North of the front the storms will probably be more elevated with hail being the primary threats. DUE TO ACTIVE WEATHER IN THE AREA...AND THE POTENTIAL FOR ADDITIONAL SEVERE WEATHER ACROSS PORTIONS OF THE CHICAGO NATIONAL WEATHER SERVICE NOAA WEATHER RADIO COVERAGE AREA...THEN WEEKLY TONE ALARM TEST FOR TODAY HAS BEEN POSTPONED. IF NO SEVERE WEATHER IS IN THE AREA...THE TEST WILL BE CONDUCTED THURSDAY MAY 26 BETWEEN 11 AM AND NOON CDT. The Storm Prediction Center will likely upgrade sections of Illinois, Missouri, Kentucky, Tennessee and Arkansas to a high risk for severe weather with the next update at 8am. Closer to home heavy rain and thunderstorms continue across northern Illinois and southern Wisconsin. The warm front sits through central Illinois this morning and as the storms lift north, they are moving into more of a stable air mass. So the heavy rain will be the main threat with these storms this morning. (9:43:57 AM) nwsbot: LOT: Polo [Ogle Co, IL] trained spotter reports HEAVY RAIN of M1.00 INCH at 09:15 AM CDT -- 0.55 inch in last 45 minutes. standing water in yards. (9:00:25 AM) nwsbot: LOT: 5 Nw Polo [Ogle Co, IL] co-op observer reports HEAVY RAIN of M0.95 INCH at 08:57 AM CDT -- last 4 hours. standing water in low spots. (8:35:06 AM) nwsbot: LOT: Sandwich [De Kalb Co, IL] fire dept/rescue reports LIGHTNING at 07:50 AM CDT -- house struck by lightning - 3rd st. relayed by bristol-kendall fire dept. Rain with a few embedded thunderstorms will continue to lift to the northeast this morning. Rain showers are already beginning to overspread the Stateline. Heavy rain, frequent lightning and even gusty winds will be a possibility with these storms as they move through. A Tornado Watch has been issued just to the south of the immediate Stateline closer to the warm front and better instability. Another tornado warning for the Joplin, MO area. It looks like this cell may miss the city to the north. Let's hope so! Better yet... Let's hope and pray there IS no tornado touchdown here. DESTRUCTIVE STRAIGHT LINE WINDS IN EXCESS OF 70 MPH. FOR SOUTHEAST KANSAS AND SOUTHWESTERN MISSOURI. Heather Brinkmann also sent this photo in from just east of Shawnee, OK. This is a rotating wall cloud, sometimes seen just before a tornado touch-down. Our former FirstWarn Weather intern Heather Brinkmann is currently in Oklahoma this afternoon chasing and sent in these photos from Fairview, OK.
Tornado Emergency coming from NWS for NW side of Norman, Moore, and south side of OKC. TAKE SHELTER NOW. The Weather Channel is reporting that the Canadian County, OK sheriff has confirmed injuries and fatalities in their area. LIVE streaming weather coverage from NewsChannel4 KFOR.com in Oklahoma Ciy, OK. TRAINED SPOTTERS REPORTED SIGHTING A FUNNEL CLOUD NEAR ERIE IN WHITESIDE COUNTY. THE FUNNEL CLOUD IS ASSOCIATED WITH SHOWERS OR WEAK THUNDERSTORMS OCCURRING ALONG A STATIONARY BOUNDARY. THESE FUNNELS ARE TYPICALLY SHORT LIVED AND RARELY TOUCH DOWN. THE ATMOSPHERIC CONDITIONS THESE FUNNELS ARE DEVELOPING IN DO NOT SUPPORT STRONG...DAMAGING TORNADOES. TO A PLACE OF SAFETY. Some areas that have been hard hit with severe weather look to have another couple long days ahead of them. A strong jet stream combined with heat and humidity have put residents in parts Kansas, Missouri, Oklahoma and Arkansas under the gun for what could be a possible severe weather outbreak later this afternoon. The Storm Prediction Center has placed a high risk for severe weather over the southern and central Plains and Ozarks. A stalled boundary just to the south of us connects with an area of low pressure developing in the central Plains and this will be focus for thunderstorms to redevelop later this afternoon. Possible long tracked tornadoes, significant damaging winds and hail will all be likely. Elsewhere, severe storms will remain possible all along the front extending out to the Mid-Atlantic and East coast. As the surface low and jet stream shift further east and northeast Wednesday, the severe weather threat will exist from eastern Texas through the mid and lower Mississippi River Valleys up through the Ohio and Tennessee Valleys. Just like today the possibility will be there for significant tornadoes, damaging winds and hail. We will remain on the northern side of this system Wednesday afternoon, however we would have to watch for the potential for a few storms south of us that may become 'elevated' if they move over the warm front. We've received a few questions in regards to the weather radios, Midland included, not going off during Sunday's severe weather. It appears that the NWS NOAA radio system in Rockford has a transmission problem that resulted in a failure of yesterdays storm announcement on most modern Weather Radios (including the Midland WR100 models that your folks were helping to get out into the public through the Logli stores). The problem appears to be in the transmitter, not the radio receivers, since all six of our company’s (as well as home units) failed to announce the tornado warning. I understand from emergency personnel that NWS is aware of the problem. Our warning came through the TV broadcasts, Weather.com alerts, and county siren. I did speak with someone at the Chicago NWS and they said that a tech was sent out yesterday, Monday, to look at the transmitter. It appeared as if something was off balance and because of that it wasn't sending out the SAME codes correctly. The problem should be fixed, but we won't know for sure until the weekly test is sent out tomorrow. While the Joplin, MO. tornado didn't directly hit our sister station, KODE-TV, numerous employees working for the station have lost their homes. Unfortunately, KODE's morning director did sustain injuries during the tornado and remains in intensive care. 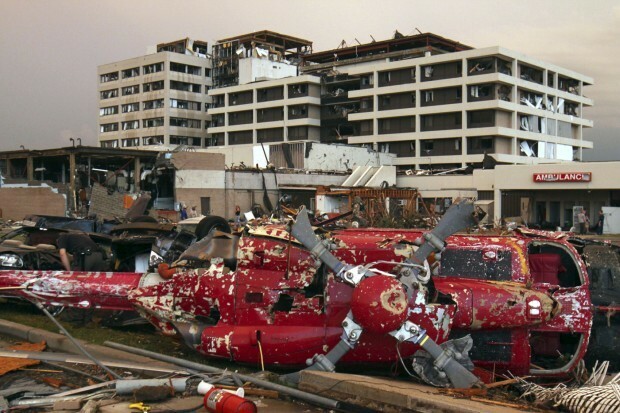 "I want to update all of you on the status of our fellow employees in Joplin. Once employees were actually able to get to their homes, the damage was greater than originally thought. In total, twelve of our Joplin employees have lost their homes. Despite their tremendous losses, every one of these employees is working extended shifts at our stations, getting news out to the people of Joplin both on air and on line. Additionally, Matt Stevens, our KODE morning show director was transported last evening via care flight to KU Medical Center in Kansas City where he remains in intensive care for injuries sustained in Sunday’s tornado. Please keep Matt and his family in your thoughts and prayers. Nexstar has started a fund to assist our employees in Joplin that are injured or have lost their homes in Sunday’s tornado. If you wish to donate please give cash or a check to your General Manager and he/she will send it to Shirley Green at the corporate office. Corporate employees or others may send your donation directly to Shirley Green. The company will match all donations received though June 5th. I am proud to say that the fund has an opening balance of $10,000, based on donations from our CFO Tom Cater and myself. Shirley Green and John Hoffmann will jointly oversee disbursement of these funds to our employees. If any monies are left over after our employees needs have been taken care of, we will see to it that it is donated to the local relief efforts for the people of Joplin. Our St. Joseph, MO station, KQTV held a “drive through” fundraiser Monday evening from 5-7pm and raised $10,000 for the relief efforts for the people of Joplin. Similar fundraising activities are planned at our other stations in the region for later this week." 9:30pm Update: Another one near Stillman Valley. A brief tornado took out a dual wood truss electrical transmission line tower, tore off the gable and part of the roof of a house, peeled sofit and shingles from a couple other houses, and knocked down trees and limbs. Truck trailers were also overturned. The tornado touched down just south of incorporated Polo, just south of the intersection of Union Road and Judson Rd. A power pole was blown leaning over the road. At this point the tornado was rated EF1 with winds estimated at 85 mph. The tornado widened slightly as it progressed to the east along Judson road, and uprooted a 20 inch diameter fir tree. At this point the tornado was still at EF1 strength, and there were branches down. The tornado then moved east and its width widened to 200 yards. There was roof damage to sheet metal roofing on 4 buildings and a wood outbuilding that was left leaning over by the tornado. In this area several 2X4’s were speared into the ground from different directions and insulation was plastered on the east and northeast face of buildings. Another property just to the northeast of this point experienced six 16 inch diameter Norway Spruce trees snapped off, and a new wood power pole was snapped in half. It was here where the tornado reached its maximum intensity with winds at 100 mph. The tornado continued to the east maintaining its intensity (EF1 strength) another ¼ mile to the east where a grain bin was ripped off its foundation and a portion of the roof blown off to the north up against a fence. After this the winds weakened as the tornado lifted. A couple of additional grain bins were blown over, small branches snapped off, and shingles blown off roofs. Winds were estimated at 70-80 mph. Tornado lifted at 10506 Judson Road at Dailey Rd. A fairly wide swath (up to 5 miles wide) of sporadic wind damage was observed across the west and northwest sides of Rockford and adjacent parts of rural Winnebago County. Preliminary survey results indicate this damage was due to straight line winds. However additional surveying continues and this information is preliminary only. Damage was somewhat more concentrated around the Roscoe Fire Station, where a large garage door was blown in, and around the Kennedy middle school which had part of a roof blown off. Debris all across this area were observed to have been blown from southwest to northeast. Other than to the fire station and middle school, no structural damage was observed except where trees fell on houses. Winds were estimated to have been 50 to 70 mph across the wide swath of damage area, with a few concentrated areas of winds as high as 90-100 mph, equivalent to EF1 strength. THE NATIONAL WEATHER SERVICE WILL BE SENDING METEOROLOGISTS OUT ACROSS PORTIONS OF NORTHERN ILLINOIS AND NORTHWEST INDIANA TODAY TO ASSESS DAMAGE WHICH WAS SUSTAINED FROM THE PREVIOUS NIGHTS THUNDERSTORMS. SEVERAL REPORTS OF A POSSIBLE TORNADO ACROSS WINNEBAGO COUNTY IN ILLINOIS HAVE BEEN RECEIVED...AS WELL AS REPORTS OF POSSIBLE TORNADO DAMAGE IN JASPER COUNTY IN INDIANA. THIS ASSESSMENT WILL TAKE A GOOD PORTION OF THE DAY WITH ANY NEW INFORMATION NOT LIKELY RECEIVED UNTIL LATER THIS AFTERNOON. Watching a few pop up showers move across south-central Wisconsin and northern Illinois this morning. Nothing severe expected with this just a few showers, maybe a very brief down pour. Still a potential for a few more storms later this afternoon as the mian cold front passes. While we had some pretty significant damage here across the Stateline, nothing compares to what occurred this evening in Joplin, MO. 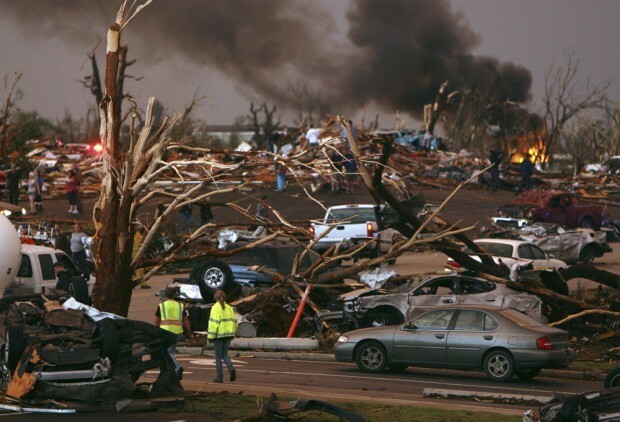 A tornado ripped through the city killing 24 people, according to a local newspaper. Jasper County Emergency Management Director Keith Stammer said the St. John's Regional Medical Center on the city's south side took a "direct hit." Witnesses said windows were blown out on the top floors of the hospital. Severe weather threat contiues to wind down tonight as the storms move to the east into Chicago. A few rain and thunderstorms will continue into the early morning hours. Watching a particular line just to the west of Amboy. It appears as if it's bowing out some. Watch out for strong, damaging winds with this. (9:46:51 PM) nwsbot: LOT: 5 Nw Polo [Ogle Co, IL] co-op observer reports HEAVY RAIN of M2.00 INCH at 09:35 PM CDT -- since 715 pm. (9:22:58 PM) nwsbot: LOT: 3 E Davis Junction [Ogle Co, IL] trained spotter reports HAIL of nickel size (E0.88 INCH) at 08:10 PM CDT -- near byron exit of interstate 39. (9:52:11 PM) nwsbot: DVN: 5 E Fulton [Whiteside Co, IL] trained spotter reports TSTM WND GST of M50.00 MPH at 06:08 PM CDT -- delayed report. (9:52:11 PM) nwsbot: DVN: 1 E Milledgeville [Carroll Co, IL] trained spotter reports TSTM WND GST of E60.00 MPH at 06:13 PM CDT -- branches down. (9:52:11 PM) nwsbot: DVN: 1 Ssw Rock City [Stephenson Co, IL] trained spotter reports TSTM WND GST of E40.00 MPH at 06:36 PM CDT --(9:52:11 PM) nwsbot: DVN: Milledgeville [Carroll Co, IL] fire dept/rescue reports TSTM WND GST of E60.00 MPH at 06:38 PM CDT -- 8 to 10 inch tree limbs down. estimated one inch of rain in the last 30 minutes. Storms continue to move east this evening across northwest Illinois. We're currently watching a line of storms stretching from Beliot in southern Wisconsin down through the Quad Cities. The potential is still there for damaging wind gusts. Extensive damage has been reported across northern Illinois. It's Warmer in Canada, eh?